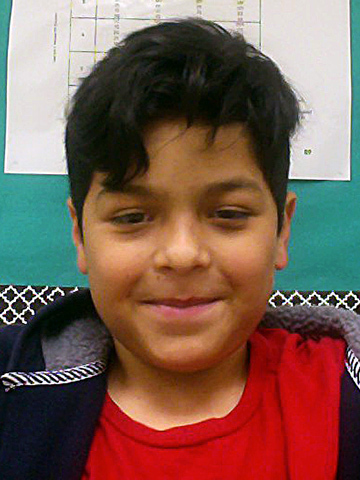 Blog :: The March Star of the Month is Brandon O. from San Bernardino, CA :: Read Naturally, Inc.
Brandon has made significant improvement in his overall reading fluency. He began the school year reading 29 wpm and as of February is reading 70 wpm. Brandon is also in our dual language program and Read Naturally has improved his English language comprehension. He came into our Intervention at the beginning of the year with little confidence in his reading skills. He had little self esteem and reluctant to participate. He is now the first one to want to read each week, completes stories quickly. He has completed one series of 12 stories and is currently working his way through his second set of 12 stories. I feel Read Naturally has boosted his confidence in reading and has given him great gains from the start of the school year till now. Brandon would be a great candidate for Read Naturally Star of the Month.